Where else besides home can you devour unlimited servings of your favorite foods this holiday season? Texas de Brazil! The Brazilian-American Steakhouse invites you to carve new memories with perfectly seasoned grilled meats cooked churrasco-style over a wood-charcoal fire, plus a chef-crafted salad area. On Thanksgiving, Thursday, November 22, Texas de Brazil opens early (11 a.m. or Noon depending on location) and features its regular dinner menu all day alongside traditional Thanksgiving favorites including roast turkey, gravy, sweet potato casserole, and cranberry sauce. Gathering at home? Let Texas de Brazil assist! Their flame-grilled meats, savory hot dishes and fresh sides are available by the pound. Whole cakes are also available for purchase, too – don’t miss out on Eli’s Pumpkin Praline Cheesecake – a popular fall feature! 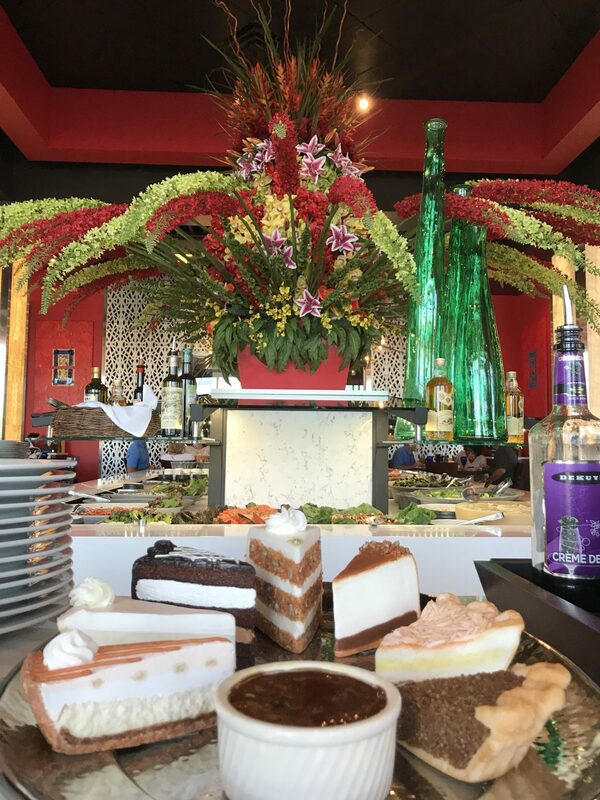 On Christmas Eve, Monday, December 24, Texas de Brazil opens early (11 a.m. or Noon depending on location) and serves its dinner menu all day plus select non-alcoholic beverages and guest’s choice dessert. Hosting the family at your house? Takeout orders of $100+ receive a select complimentary pie. Visit www.texasdebrazil.com to learn more about these promotions and to reserve your dining experience. Follow Texas de Brazil on Facebook, Twitter and Instagram. 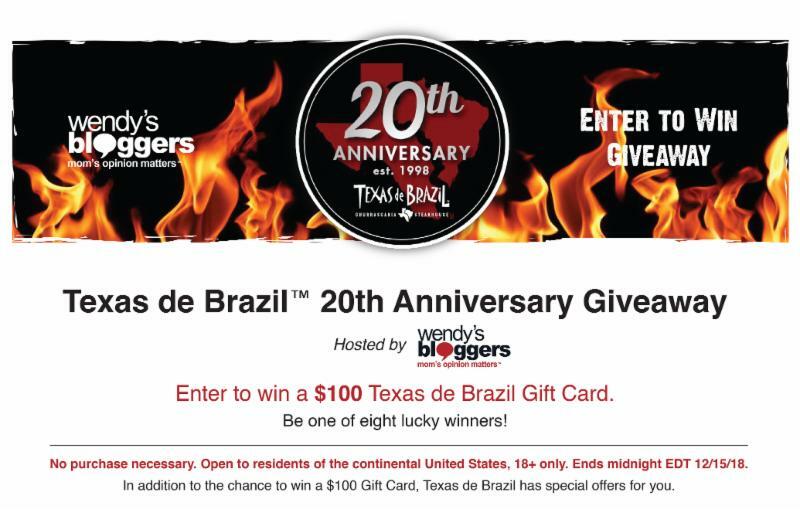 This sponsored post is brought to you by Texas de Brazil and coordinated by Wendy’s Bloggers. 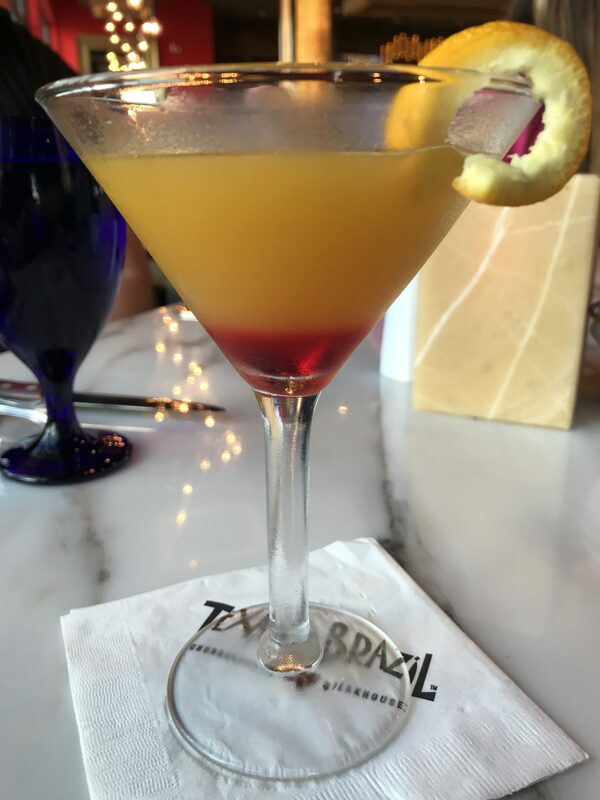 Cheers to the holidays at Texas de Brazil! Tagged carnivore, cocktails, Date Night, Dessert, desserts, Dinner, fine dining, Full Bar, Gluten-Free Friendly, Good for Groups, holidays, meat sweats. Bookmark the permalink.